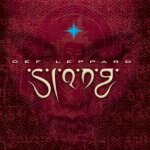 Def Leppard played a show on the Slang tour in Kuala Lumpur, Malaysia on 4th June 1996 and an archive tour diary is available to read. Joe Elliott wrote a tour diary for Q Magazine from the show which took place at Stadium Negara. This entry includes the story of why Love Bites was not played at the show. "Believe it or not Love Bites is banned here for the mega offensive opening line "When you make love do you look in the mirror?". Parental Advisory stickers on Def Leppard albums is not something I ever expect, so this is a bit ridiculous. We rehearse Have You Ever as we're not allowed to play Love Bites live either!"